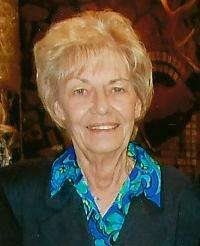 Vada M. Freemont, 71 years of age, passed away Tuesday March 19, 2019 at her home. Born in Burton Township, Ohio on May 11, 1949, she was the daughter of the late Bruce and Martha (Fowler) McCoy. A longtime Mantua-Shalersville area resident, Vada had been a graduate of James A. Garfield High School, and then from Hiram College. She had been employed for over 20 years at Nestle USA in Solon. Vada enjoyed traveling in her spare time. She is survived by her daughter Danielle Freemont of Mantua; her siblings Tim (Kathleen) McCoy of Washington State, Kenny McCoy of Oregon, Harold (Linda) McCoy and Enoch (Gay) McCoy both of Garrettsville and her two grandchildren Zach and Breanna. She was preceded in death by her husband Roy Freemont in 1996, and her siblings Norma Layer, Mary Woodring, Robert McCoy and French McCoy. No calling hours. A private burial at Riverside Cemetery, Shalersville will be held. Arrangements are by the Green Family Funeral Home & Crematory Service in Mantua, where condolences and messages may be viewed at www.greenfamilyfuneralhome.com.